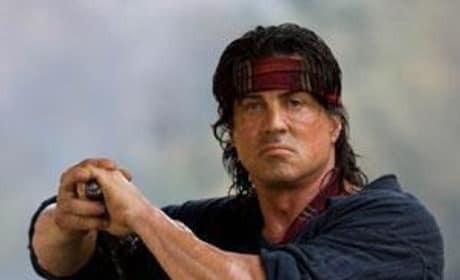 As you can tell from these Rambo photos, Sylvester Stallone is back in the role he made famous in the 1980s. 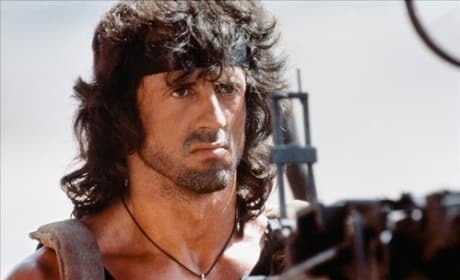 Sylvester Stallone stars in Rambo 3. The action hero is back in The Expendables 2. Yes, he's back! 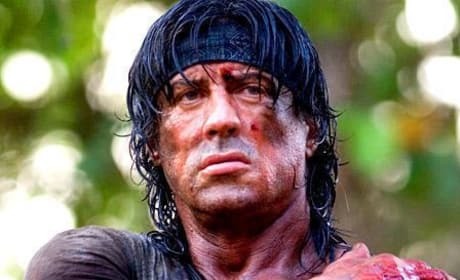 Stallone has returned to the big screen as John Rambo. Again. This time, the movie is simply titled "Rambo." 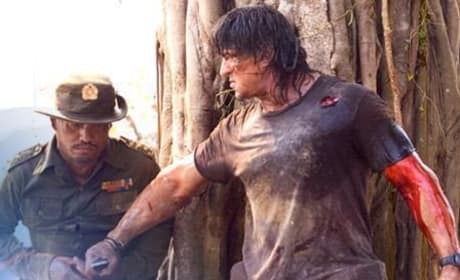 John Rambo is back! 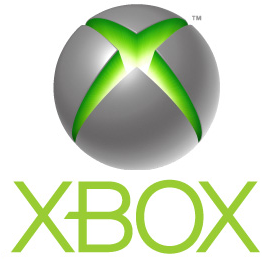 Sylvester Stallone reprises his famous role in another version of this action blockbuster. 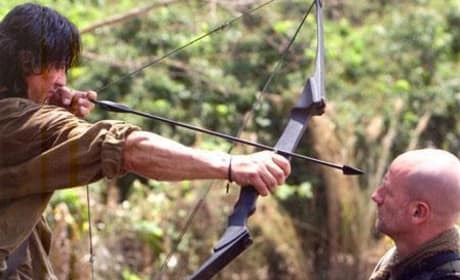 Here's a look at the next Rambo movie. Yes, there's gonna be another one. 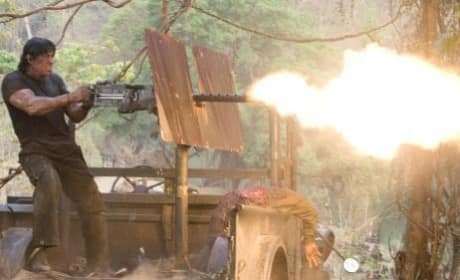 Sylvester Stallone is back as Rambo in this 2008 film that finds him going to Thailand to rescue aid workers.